Being from Newfoundland, I absolutely adore the chance introduce my home to others, since so few people have actually been there! A few years back, a dear friend of mine from Croatia came along on a trip home. Her sea is the Adriatic, mine is the North Atlantic and its mysterious depths. 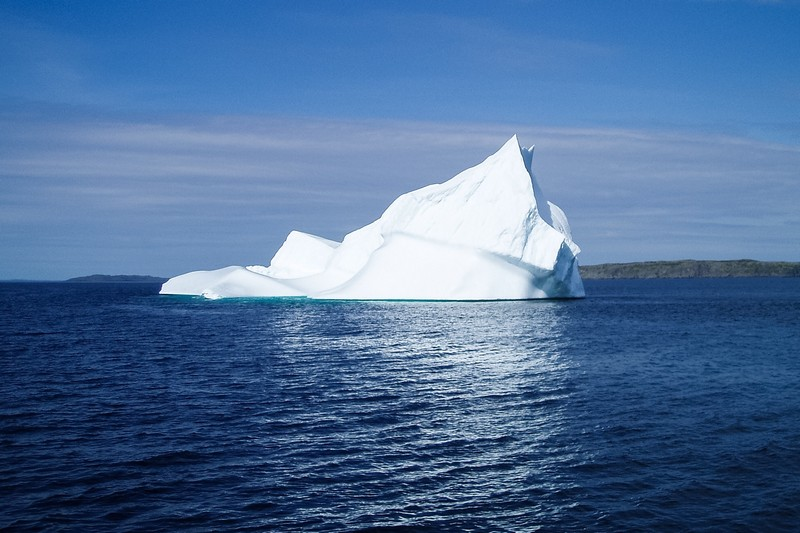 We shared a grand adventure around the island, including a drive up to L'Anse aux Meadows, where we jumped at the chance to take an iceberg excursion. On this tour, the mythical iceberg in this picture tried to keep its secrets, revealing only 10% of its mass, leaving 90% to the imagination. But our clever captain made the experience a little more tangible, when he scooped up some "berg bits" from out of the sea and let us taste them - cold, clear, perhaps the purest I've tasted. It was mesmerizing to think that this tiny ice cube melting in my mouth was had been frozen for thousands of years, waiting for that moment. Oh what secrets it could share.